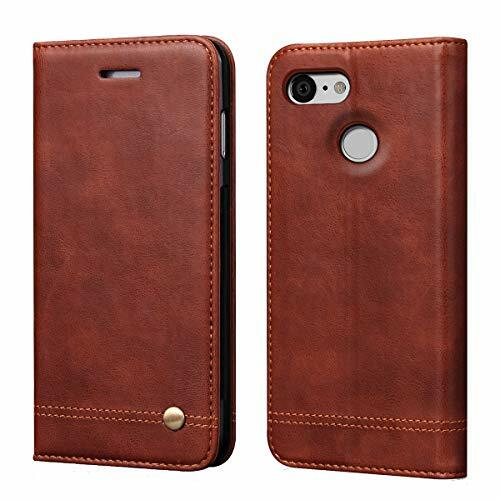 If you have a Google Pixel 3 and you looking into getting a leather case, then you have landed on the right article. To find a genuine a quality leather case for your device might be a hassle, but you don’t have to worry because we’ve got you covered. One of the advantages of a genuine leather case is that the more it ages, it gives you a more authentic and elegant look. With the list compiled below, you will have the option of choosing the best Google Pixel 3 leather case that suits you perfectly. A great way to start this list. 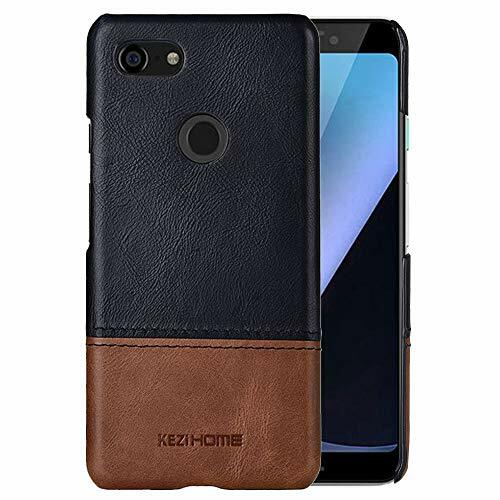 The KEZiHome Google Pixel 3 case is made with 100% genuine leather. The luxurious cover is made of real organic genuine cowhide leather. Every case is made by hand and fits to provide both quality and comfort when using the case. In addition, it is designed to beautifully age with time to create a rich leather look to your device. Moreover, it is light, ultra-thin, and durable to provide protection to your device against scratches, bumps, and dust. Its precise cutouts also provide easy access to the full functions of the phone. 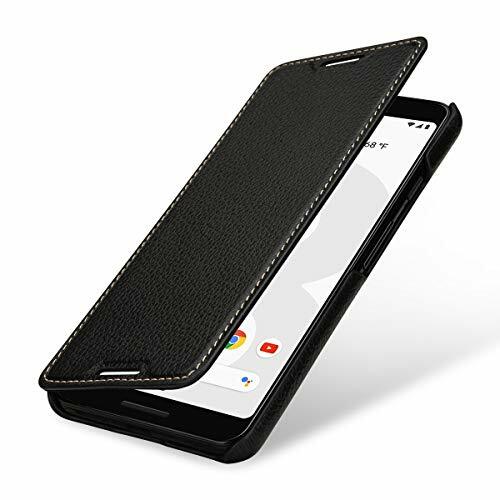 This Google Pixel 3 Leather Case combines a sleek slim fit design with quality that is built to last. Made from premium synthetic leather with secure and straight stitching that retains its authentic appearance even after lots of wear. Furthermore, this cover keeps the phone firmly secured in the holding bracket that ensures no risk of popping out if dropped. This model is equipped with a good strong reversible magnetic clasp that opens and closes securely. It also folds back so it doesn’t get in the way when receiving a call or viewing the screen. With clean lines, rounded edges and a super slim profile, you’ll barely notice your Google Pixel 3 has a case on. The Bellroy Google Pixel 3 leather case is made extremely slim without compromising the security of your phone. With a combination of a flex polymer, microfibre, and genuine leather, you a guaranteed of grip, protection, cushioning and a great appearance that improves with age. This model is specifically designed for the Google Pixel 3. It has precise cutouts to allow full access to all the functions of the phone. It also Works with the fingerprint sensor and Active Edge. 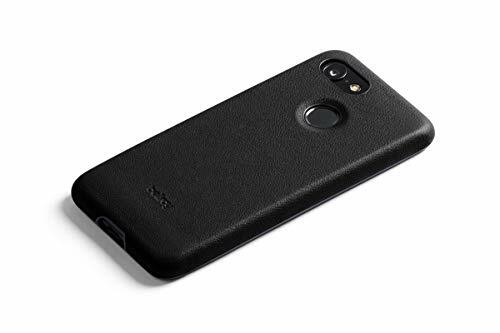 A familiar brand when it comes to producing quality phone accessories and its Google Pixel 3 leather case is no exception. Combining premium full grain cowhide leather with exquisite craftsmanship, this case presents a timeless luxury classic look and offers great soft natural leather feel. With this, you are guaranteed all-round protection to your phone. 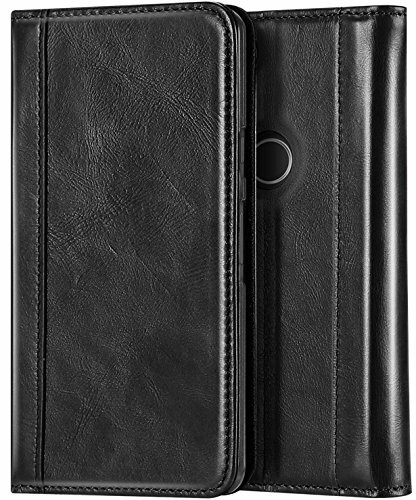 In addition, It designed with 2 card slots and a pocket for conveniently storing essential cards and cash. It also comes with an adjustable kickstand that supports multiple horizontal positions, helping you find the most comfortable angle for reading or streaming. With a combination of Speckled white rubber and Tan Horween Leather, you can be sure of a stylish look. The leather ages with time and provide subtle texture to the back of your phone for easier grip and comfortable touch. Regardless of its thin size, the security of your phone will remain intact. 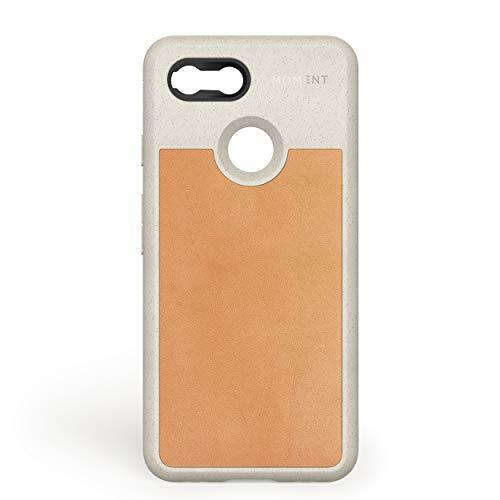 The Moment Google Pixel 3 case has precise cutouts to grant easy access to the fingerprint sensor, back cameras, buttons and ports of the phone. This is definitely a case to consider. The SnakeHive Google Pixel 3 case is made with European Nubuck leather, that ages over time giving the case a beautiful unique patina finish. It is also long-lasting, with better quality and feels. Moreover, The inner of the leather case is made of a smooth soft leather designed to protect your phone screen from scratches. It also ensures protection against shock and bumps. 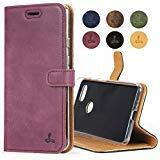 The leather cover has a useful viewing stand function, which enables you to turn your phone on its side to landscape mode to easily view videos. With elegance in texture and its soft touch, it emphasizes your sophisticated style, either in daily life or business occasions. It is made with fine-grain cow leather is noted for its durability and a classy, natural look. Furthermore, it is designed as a book-style flip with a durable plastic shell and a soft microfiber interior. In addition, the flap works like a book cover. It is properly trimmed to ensure the case easily stays closed and has all-around protection to your device against scratches, shock, dust, and bumps.